Dental treatment is not something that should be put off until tomorrow, especially if you have excruciating pain and symptoms that prevent you from sleeping or eating. 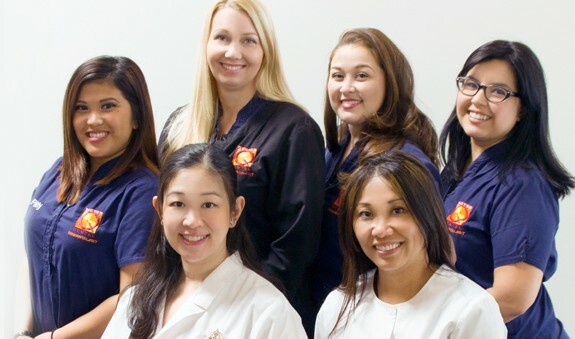 Many Monrovia patients think they need to wait days or even a week for treatment, but at our practice, we believe that immediate treatment is part of our commitment to providing the utmost in patient care. These problems need immediate attention to resolve them and waiting for treatment can result in more damage to the tooth structure and additional procedures to restore the function and cosmetic aspect fully. What Will Happen During My Emergency Procedure? We provide all patients with a direct number to speak with Dr. Q if they need to come in for emergency treatment. That way you can have immediate information about the best plan of action for your specific problem. If Dr. Q thinks that you need emergency treatment, she will find the first possible appointment by coming in early or staying after business hours to accommodate your schedule. Take digital images of the area to discover the extent of the damage. Discuss possible treatment options after evaluating the problem. Perform the treatment to alleviate your pain and discomfort. Evaluate the need for additional restorative or cosmetic procedures. After your treatment, Dr. Q will help you determine when to return to the office for a follow-up visit. Our Monrovia patients usually return to our office after a few days to a week of healing to ensure that they feel and look their best. While not the first consideration, emergency treatment creates the foundation for cosmetic work. Our office in the Monrovia area treats your condition with this in mind; our short-term treatment is focused on pain relief with the long-term cosmetic details in mind. As both a cosmetic and general dentist, Dr. Q keeps both the appearance and function of your teeth in mind when performing a procedure. This allows her to build a treatment plan to restore your teeth to the way they were before your dental emergency. Helping you decide on a procedure that relieves pain and restores your appearance. Sending you home with detailed instructions of care after the procedure. We emphasize connecting with our Monrovia patients through follow-up calls and encourage you to ask us any questions you have while healing. Our priority is helping you heal from your condition and then matching you to the right restorative procedure. At our dental practice, we arrange for early or extended hours to see patients who need an emergency dentist. If you call the office while it is closed, you will reach Dr. Q’s personal number, and she will provide you with advice over the phone before you come in. Our practice is built on preventive as well as restorative treatment to ensure that your teeth are as healthy as possible. Dr. Q will spend extra time explaining how your daily eating habits contribute, or detract from your dental health. At the end of the day, we want to make sure that you know how to take care of your teeth and practice excellent oral health. If you think you’re experiencing a dental emergency, call our office in the Monrovia area at (626) 599-9819 immediately to get the help you need.